Why paying for international ONE WAY calls? With ViMo you make international calls as you would at home. Check out our rates for international calls. People worldwide call you for the local rates applicable in their country. No more missed calls! With ViMo you can top-up phone numbers from other providers worldwide. ViMo gives you an international number without a need for the second SIM card. You and people calling you don’t need internet to make an international call. 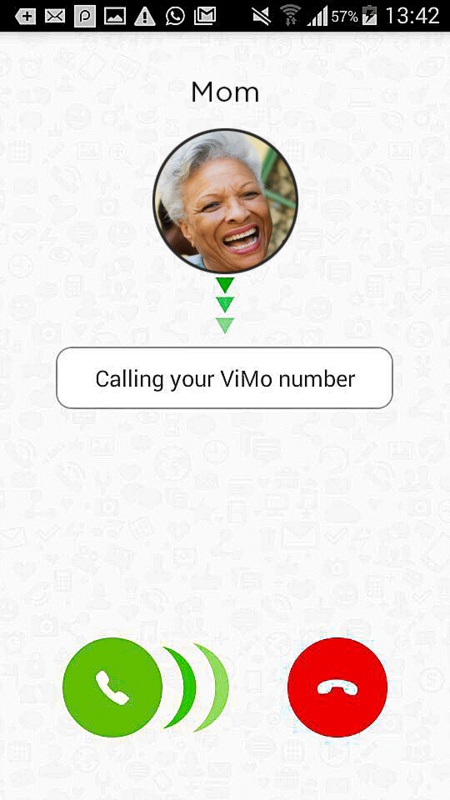 ViMo provides you a free local phone number, just use up 5€ of your credit for calling pr. month. Check out our social media profiles to find out more and get free vouchers! 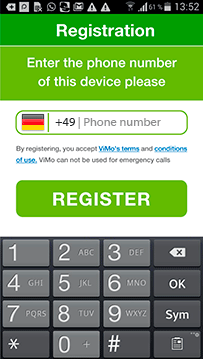 To use ViMo you need a smart phone (Android or iOS) and an active Phone number to register with. After entering your number, you’ll receive a sms with a code to confirm the registration process. For iphones, please enter the code manually. For most Android phones, the code will be detected automatically. Why do we need your phone number for the registration? Now the beautiful part: Choose your country and ViMo will provide you your country’s number for free. Share your number and receive your first call, try it out. Note: Receive a call within 24 Hours to activate your number, otherwise it will be removed and used for other ViMo Users. Test your number 3 days for free, receive as many calls as you wish. Get your Nigerian number. Family & Friends can call you for local rates or even free, if they have free Minutes. Test free for 30 days. 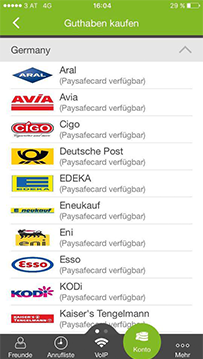 Recharge your ViMo Credit within 3 days to continue free trial. Rates shown are subject to a connection charge of per call. My parents can directly call my number, as if I would be in india, great app! ViMo thanks all customers for their trust and loyalty. We would like to celebrate this great success with you. Check out our social media profiles to learn about special free vouchers! Why should I take a ViMo Number? You Country’s Number will allow you to make calls, cheaper than the international rates in the market! It would be almost as cheap as a local call of your Country! And the best thing: Anyone in your country can just call your number as local – no Internet or any App required! Receive unlimited calls. Many Apps offer free calls, but they only work with Internet (VOIP)! ViMo allows you to make cheap VOIP Calls and also to make cheap calls without Internet! ViMo would dial a local Number of the country in which you stay, to connect you with the international Number you’ve dialled. 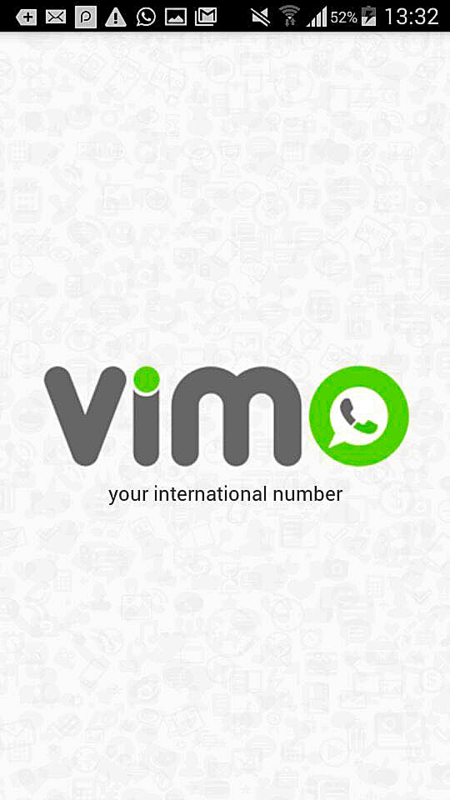 Your Simcard would be charged for the local call only, the international part would be charged via ViMo. How can i help my family abroad, to save their money?